“...which is well know “or” its poor management & high taxes!" 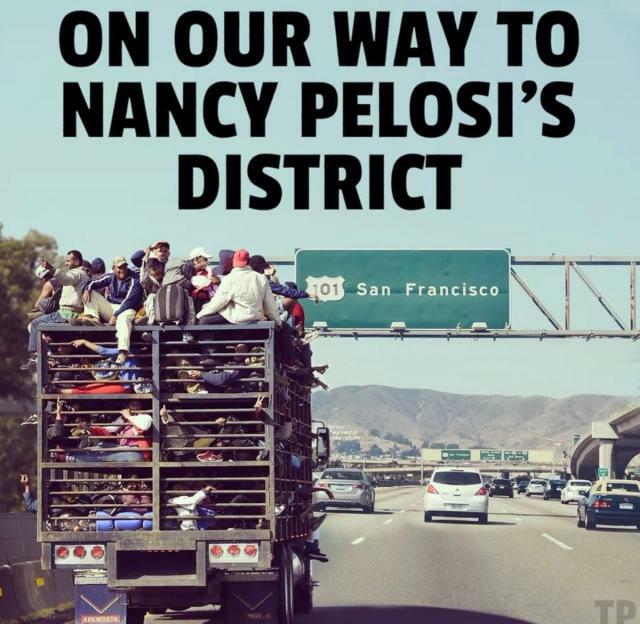 Maybe the 'Don' giving Calif the finger. LOL. Why is "puff piece" in quotes? Has POTUS been reading Qresearch on 8chan? 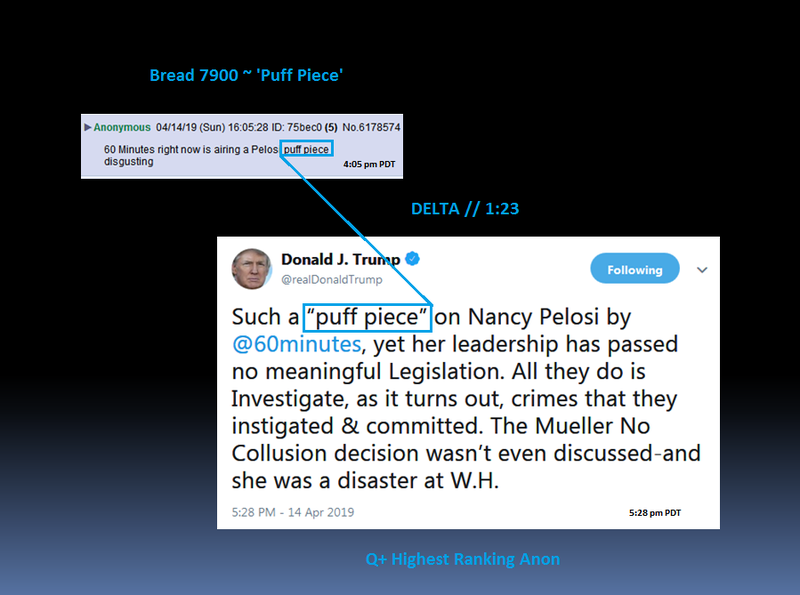 Just an hour and 23 minutes before POTUS' tweet using the phrase "puff piece", an anon used the phrase on the Qresearch thread. 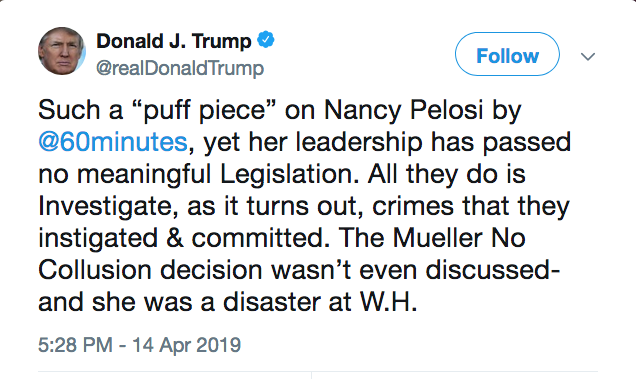 IMO this wasn't significant to me until I realized Trump had put "puff piece" in quotations. Assumed to be an Art project. Of course our friends at the NSA, MI, Q, Q+, lurk. They have to keep an eye on the digital army! If they didn't "spy" on us I'd be disappointed. Big week ahead I hope. Sounds like President Trump is filling in (sort of) until a new Q-team spokesperson volunteer is found. The Mueller No Collusion decision wasn’t even discussed-and she was a disaster at W.H. "discussed-and" ? Disgusted? She did not demonstrate disgust? (because she's controlled opppostion?). W.H.? White House doesn't fit. 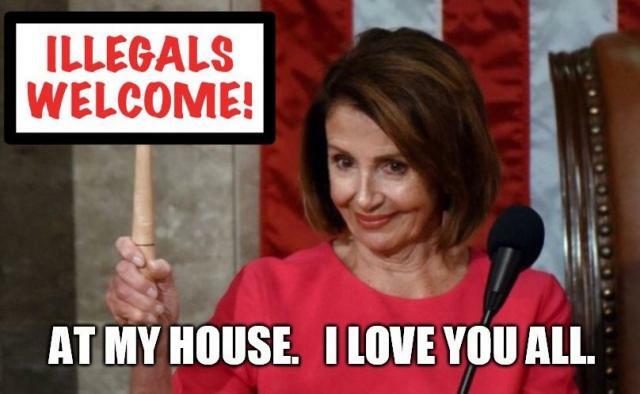 Does this speak to her Germany Troop visit? Did she show up drunk? Panic is a good reason for a lil drinkie-poo? How much longer will people like this be in charge?